Lee is originally from Medway, and has been collecting records from a very young age, regularly hanging around his local record shop, doing odd jobs in return for vinyl rewards, progressing on to Saturday excursions through London record shops. The vinyl collection is still growing. Although Lee wears several hats from the musical genre wardrobe, his main drive is anything ClubSoul/RnB/HammondJazz/Funk/LatinBoogaloo derived. 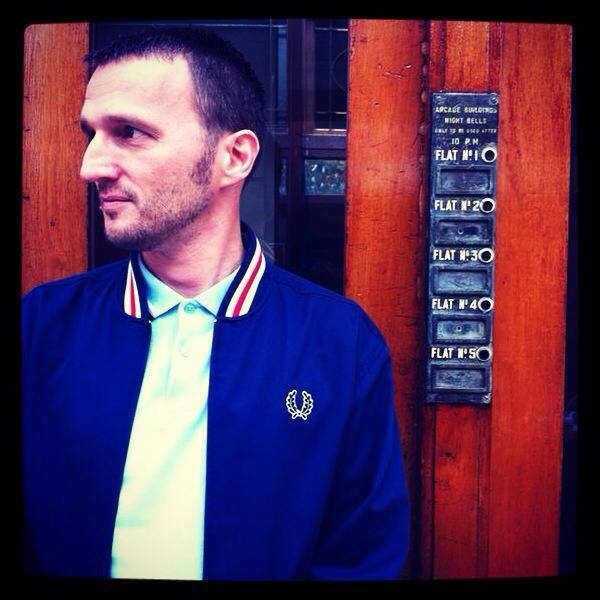 Lee was born in to the Modernist world by his parents and older brothers (namely The Jam, The Who and Tamla Motown), and his Mum’s legendary Gillingham based youth club, which attracted many faces from the Medway Modernist and Scooter scene during its run between 1982-88. DJing started at private parties in Kent from the age of 16, but following a completed apprenticeship, it was time to relocate in his VW camper to Newquay, Cornwall where Lee has settled since ’94. Between 2000-2015, Lee ran a regular club night with his brother, mainly in Newquay, Cornwall, widely known as Club Peel, tailor made to the lovers of Hammond Jazz, Northern Soul, Funk, Latin, Exotica, Soundtracks, R&B and 60s/70s Soul. They also ran the POW! club night, which saw Medway Magic fused with Indie, Alternative, Garage, Punk, Mod Revival and Brit Pop. Club running and DJing has also included promoting bands to the South West, with Big Boss Man being a regular, as well as localised bands. Club Peel still continue at various events, including their recent boat cruise down the Thames in 2016. Lee is also a joint founder of the Upstairs Downstairs DJ collective, and often DJ’s with his fellow founders throughout the South West, offering late night adventures. Throughout his musical purveying career, Lee has been honoured to play at Looe Music Festival, The Vintage Festival at Southbank, Boardmasters Festival, the Blow Up club night, Chill at the Mill, Volks Bar in Brighton (for the 60s and Modernists Weekender), Torbay March of the Mods, 100 Club in London, Medway Legends Festival in San Sebastian, Spain, Eden Project as well as supporting various touring bands/performers mainly in the South West (Big Boss Man, Otis Redding III, From The Jam. to name a few). In addition to DJing, Lee currently presents a weekly online radio show (Wednesday’s 6-8pm), The Spinout Show, on online NCB Radio, with his co-host and partner in musical crime (Little Miss) Mojo, as The Speilers, they throw out musical wonders, giving you a vinyl stew with an eclectic blend, but frothing with Soul, Funk, R&B, Jazz, Medway Magic & Exotic Delights! Lee and Little Miss Mojo also perform as a DJ/PA collaboration.